We are a leading name, which is engaged in delivering an unparalleled range of Hypertherm Plasma Consumable Silver Electrodes. 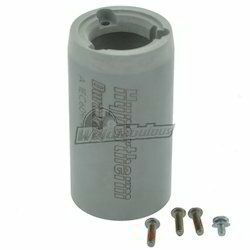 Hypertherm Consumables,Hypertherm Plasma spares,Hypertherm HPR130 Consumables,The offered range of plasma consumable electrodes is developed utilizing premium grade raw material, which is sourced from authentic vendors of the market. These products offered by us are checked on different characteristics to ensure their adherence with the international quality norms and standards. We have emerged to be one of the most coveted manufacturers, suppliers and distributors of a wide and exclusive range of best quality ,Hypertherm Maxpro200 consumables,Hypertherm Consumables,Hypertherm Max200 Consumables-Nozzles. 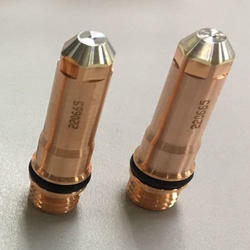 These nozzles have been precisely designed for optimum compatibility with various plasma torches. 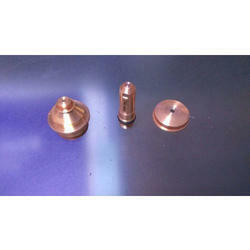 Customers are offered various grades and dimensions of this range. 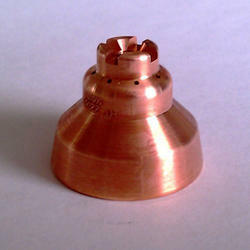 Hypertherm Hsd130 consumables, Hypertherm Plasma Hsd130 consumables, Hypertherm Hsd130 Nozzle 220492, 220892. 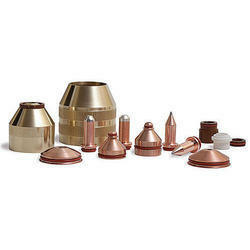 Hypertherm Hsd130 consumables, Hypertherm Hsd 130 Nozzle, Hypertherm Nozzle 220892, 220492. We offer complete range of genuine Hypertherm Plasma Torch Consumables. 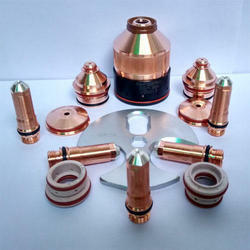 We are leading distributor and wholesaler of all types of Hypertherm Electrode.We offer complete range of genuine hypertherm plasma torch, hypertherm plasma torch parts, hypertherm consumables, hypertherm torch consumables, hypertherm plasma cutter parts, hypertherm plasma cutter, hypertherm machine torch parts etc. Owing to the competent team of professionals and their immense experience, we are able to offer a comprehensive range of Hypertherm Plasma Spares. Available in different forms, this range is custom designed as per the industrial standards. We completely ensure that the product is as per the highest quality norms and standards by conduction quality tests over it. 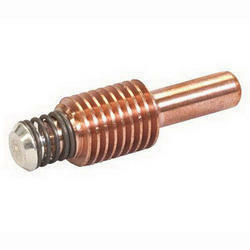 For immense compatibility with the most high quality plasma torches we offer these Hypertherm Torch Parts. 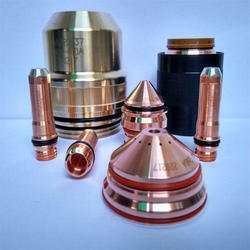 Customers can easily avail these parts from us at the most comprehensive and market leading price range. 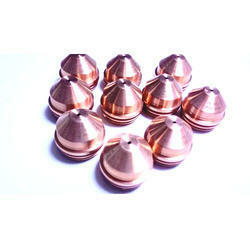 We have made use of high quality copper and other metal alloys in making these parts. All these parts enable high speed cutting and are easy to set up and use. We have strictly adhered to industrial standards while manufacturing this range. We are the most sought after manufacturers and suppliers of this high quality Hypertherm Plasma Consumables, Hypertherm plasma spares, Hypertherm plasma Torch parts , Hypertherm Plasma Torch consumables. The offered range is a plasma torch consumable and can be availed from us at the most comprehensive and market leading price range. We have offered this range to the customers at the most comprehensive and market leading price range. Looking for Hypertherm Plasma Consumables HPR 130 ?